Pamper your little one with comfy new fashion exclusively for them! Let the apple of your eye follow in the footsteps of their fashionista parents when you style them up neatly with Oxolloxo’s kids fashion edit! 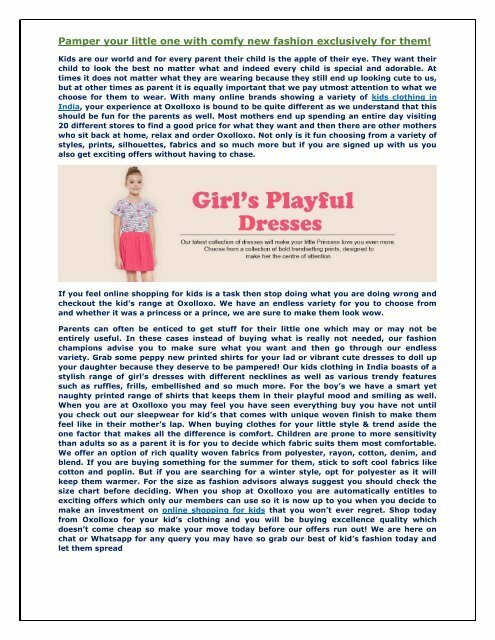 Magazine: Pamper your little one with comfy new fashion exclusively for them!